Over the years, countless people have chosen to have All-Laser iLASIK at See It Clearly so that they can not only improve their vision, but improve their lives! Imagine how much easier and more enjoyable your life could be without the hassles of glasses and contacts. Not to mention, the lifetime of savings versus glasses and contacts. Click here to take a look! 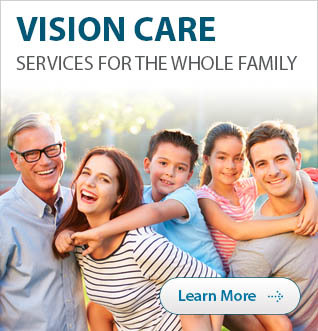 *Savings of $250 off per eye iLASIK regular price. Cannot be combined with other offers or insurance. Free consultation not substitute for regular eye exam. New patients only (no prior refractive procedures). †Financing on approved credit. ©Copyright 2016, Eyemax. All rights reserved. Your eyes are the window that lets you see the beauty of the world. This essential part of our body should be cherished and taken cared of as if it’s a precious gem. If you don’t have good vision, do not hesitate to take necessary action in order to address this. You may already be missing a lot of things with poor eyesight. LASIK is a laser surgery procedure that permanently changes the shape of the cornea to reduce or eliminate nearsightedness, farsightedness, or mixed visual irregularities due to an abnormal curve in the cornea. Only an eye care professional trained in laser vision correction can determine if you are a candidate for this procedure. With this procedure, many people are able to do the things they love to do without the hassle of contacts and glasses. You too may enjoy the benefits of the only laser vision correction procedure that has earned FDA approval to provide customized correction for the broadest range of vision imperfection – including mild to severe nearsightedness, farsightedness, and all types of astigmatism. It works! It corrects vision. Around 96% of patients will have their desired vision after LASIK. This highly specialized laser uses a cool ultraviolet light beam to remove (“ablate”) microscopic amounts of tissue from the cornea to reshape it, refocusing light entering the eye for improved vision.